Just once into the US box office champion, ANT-MAN must give up the position occupied by the Mission: Impossible ROGUE NATION. Officially released on August 1 in Indonesia and July 31 in almost the entire world, the film is synonymous with the famous Hollywood actor, Tom Cruise is able to reap US $ 4 million (equivalent to US $ 54 billion) in just one night only at the time of opening. 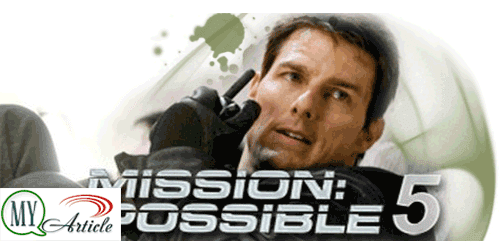 At the end of this week, after less than three days in theaters, the fifth series Mission: Impossible is reaching a sizeable amount is an amount of US $ 56 million (equivalent to USD 754 billion) in the US alone. Meanwhile, in virtually around the world this film by Christopher McQuarry able to reach US $ 65 million (equivalent to Rp 875 billion), as reported by Box Office Mojo. In second place is the comedy starring Ed Helms and Christina Applegate, VACATION. This film is a reboot of the same movie and the ever popular in 1983. This adult comedy able to achieve revenues of US $ 14.85 million (equivalent to USD 200 billion) at the end of this week. Marvel comic superhero film output, ANT-MAN, had to settle in third position with a decrease of 49.3%. Despite the decline, the film starring Paul Rudd and Michael Douglas is reportedly going to be made ​​a sequel, you know! Next are the minions in the fourth position. This film has survived for 4 weeks at the US box office. Another newcomer since last week is PIXELS. The film, starring Adam Sandler's revenues decreased by 56.7%. This film brings our memories back to the era of '80s when the games nintendo rampant. There Donkey Kong, Pacman, Tetris and many others.